Imagine the feeling you see when the trees turn beautiful colors of orange and reds. 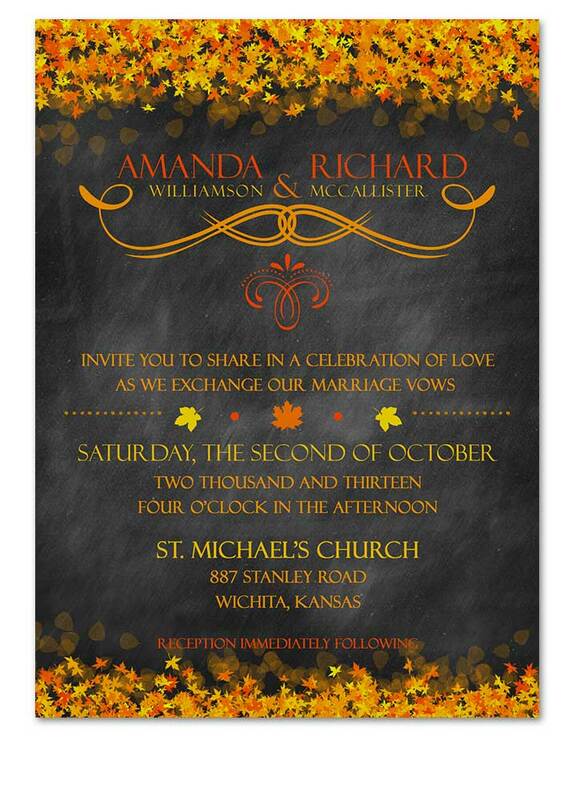 Capture those warm feelings with our lovely chalkboard fall leaves wedding stationery. 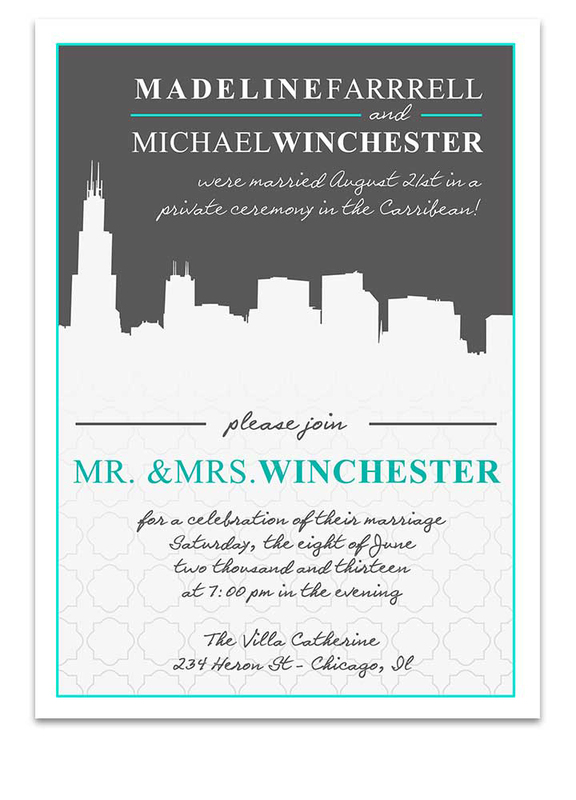 Chicago Cityscape Scenic Wedding Invitation for all those that LOVE the windy city! 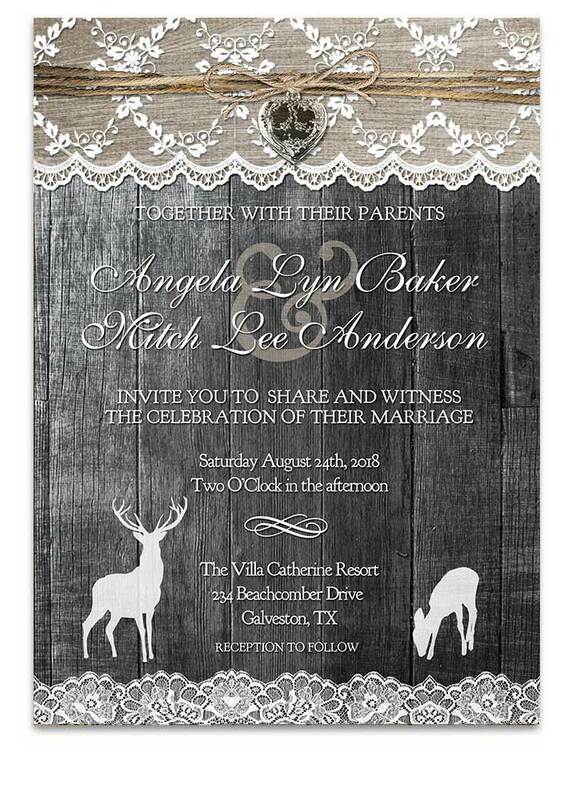 Country Rustic Chic Deer Wedding Invitation. 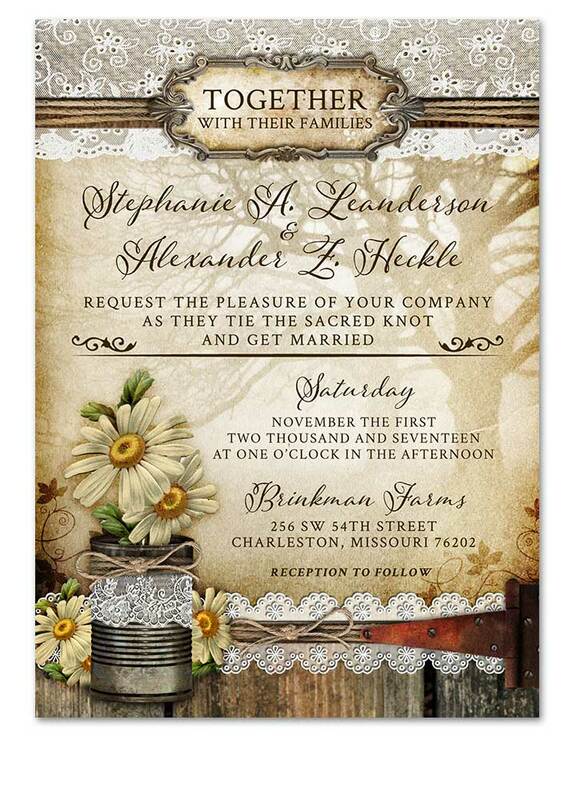 Set the tone for your rustic chic style with our elegant yet rustic charm stationery. 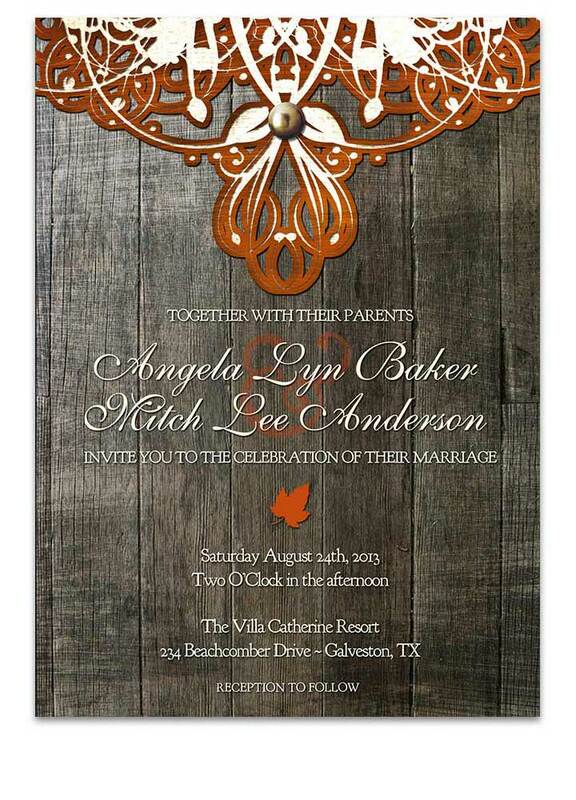 Country Rustic Lace Heart Wedding Invitation is perfect for making those country rustic weddings truly memorable! 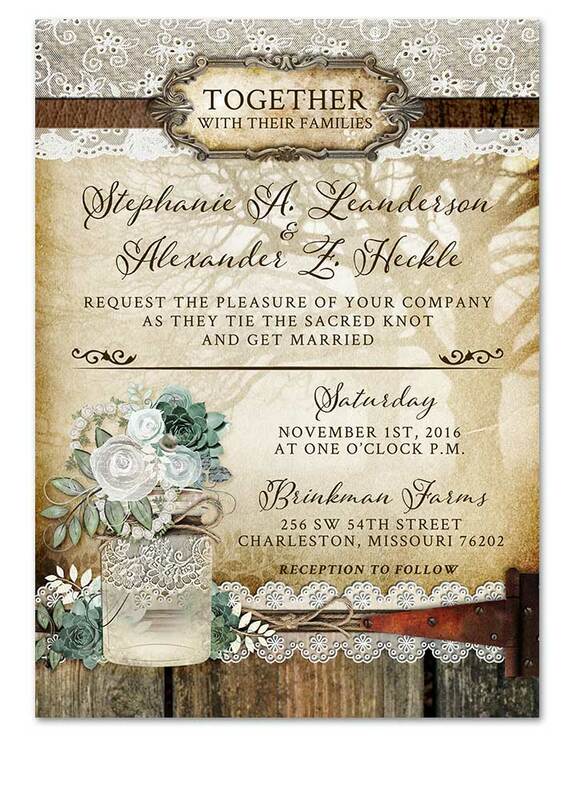 Beautifully adorned, this Country Rustic Lace Wedding Invitation will have your guests lining up to be present at your wedding celebrations! 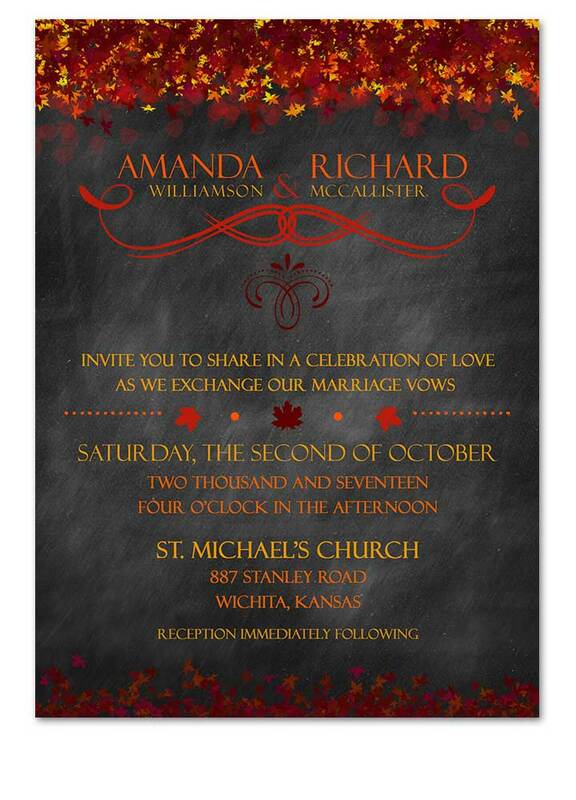 Rustic elegance is perfect for so many wedding themes. 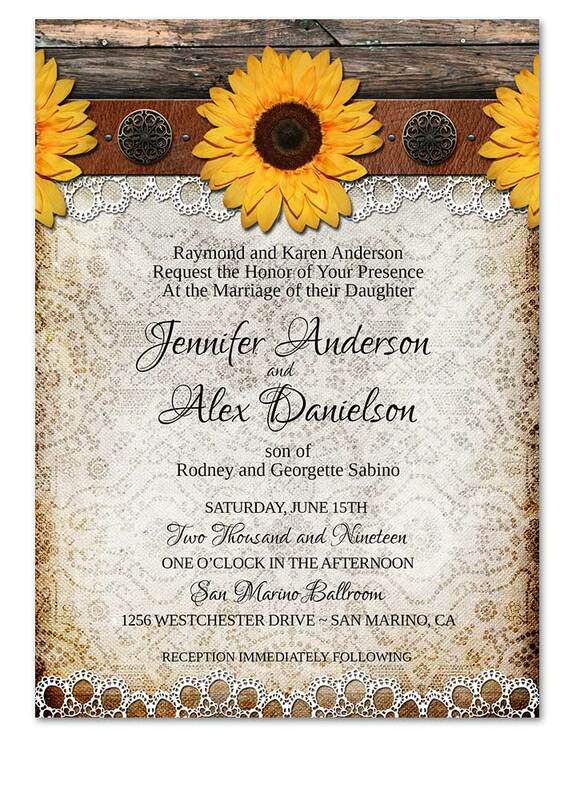 Country Rustic Sunflower Lace Wedding Invitation that is the perfect choice for your summer rustic wedding! Beautiful flowers, summer air and the most perfect day for you! 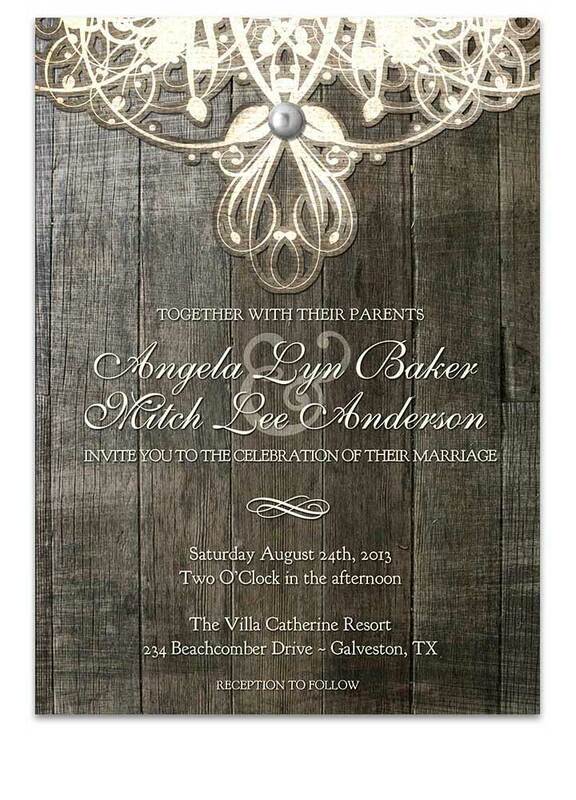 This rustic wedding invitation is great for that outdoor or barn themed wedding where you want to showcase rustic style with elegance and grace. Subtle hints of white lace can be seen throughout, as well as barn wood and metal elements. Yellow daisy flowers are the highlight in a tin can. 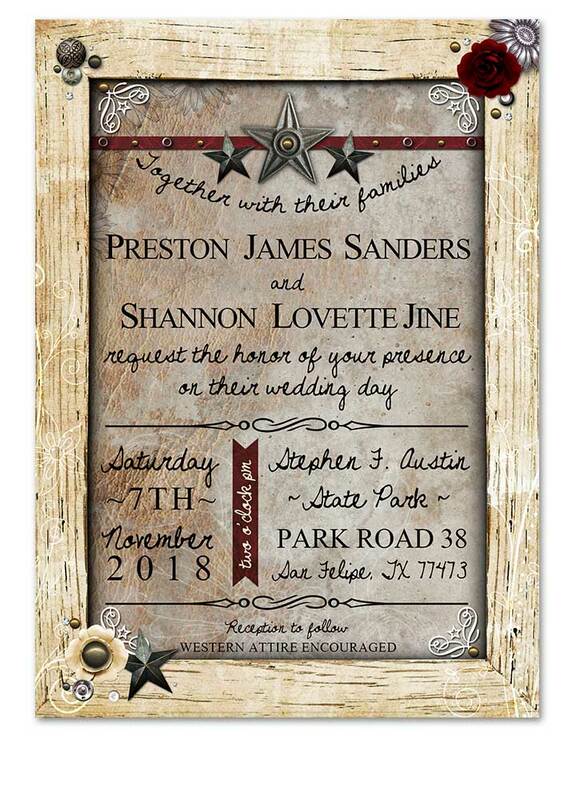 This rustic wedding invitation is great for that outdoor or barn themed wedding where you want to showcase rustic style with elegance and grace. 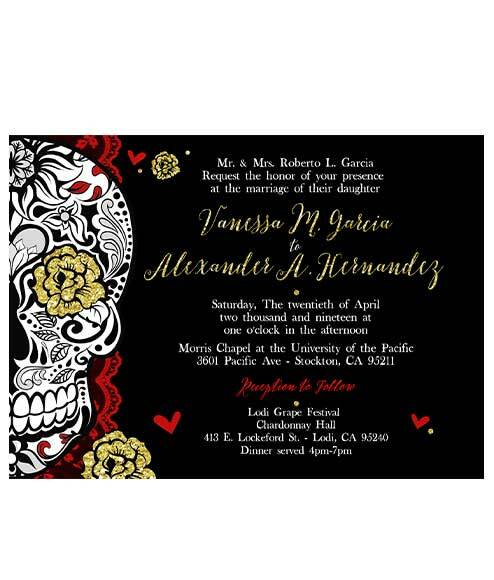 Dia de Los Muertos Wedding Invite that are as unique as you are! 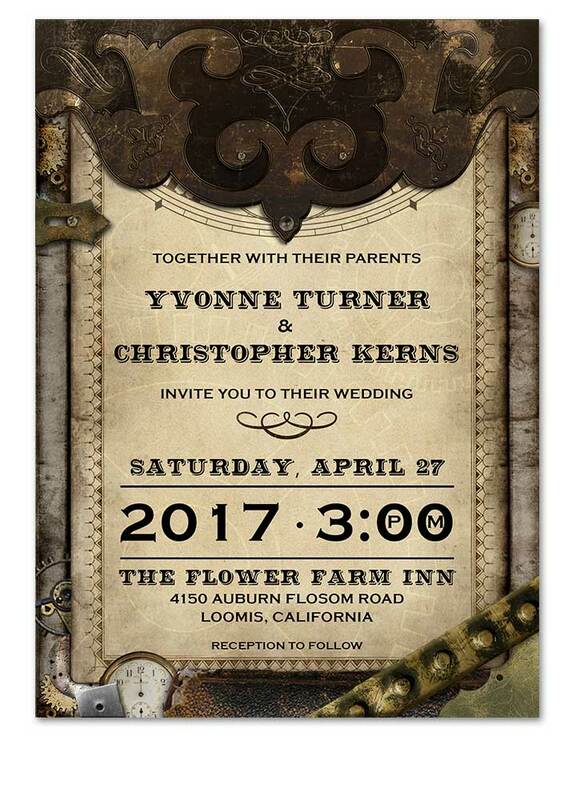 A great choice for an offbeat wedding or skull over who wants a classy wedding invitation with some flair! Carnation flower in the eye, as well as font colors can be changed to color of choice. Red is shown here. 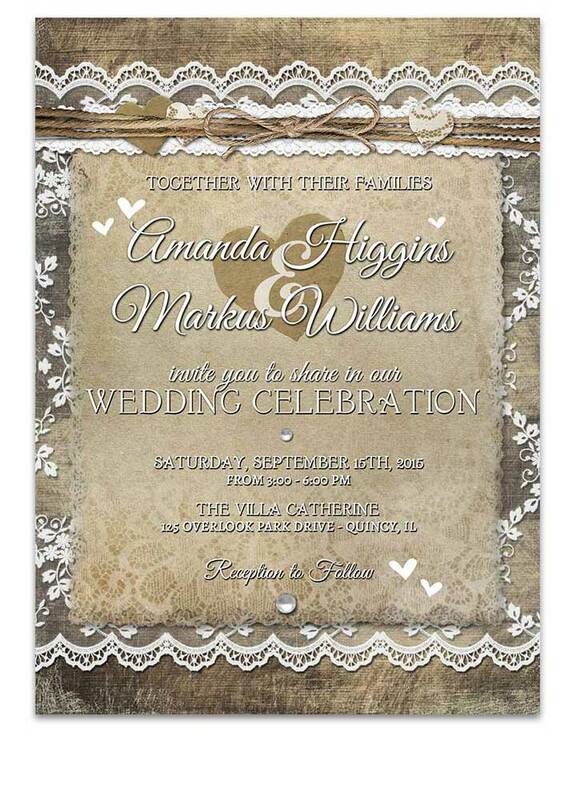 *5×7 inches * We Customize ~ You Print. 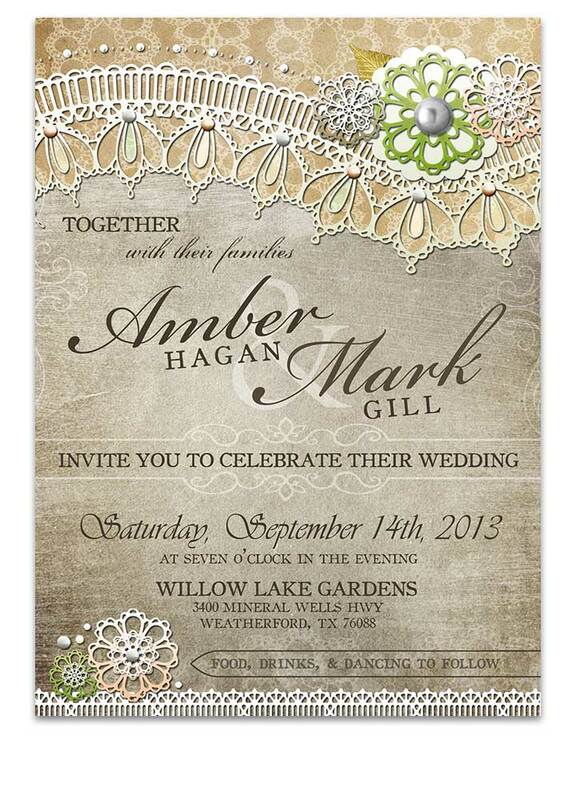 Doily Lace Autumn Orange Wedding Invitation has beautiful autumn orange simulated lace, a great calligraphy font, and rustic elements. 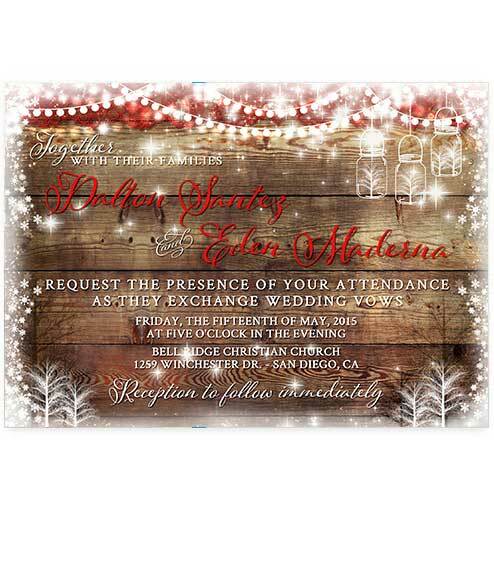 Doily Lace Creme Wedding Invitation has beautiful soft creme simulated lace, a great calligraphy font, and rustic elements. Doily Lace Purple Wedding Invitation has beautiful lavender purple simulated lace, a great calligraphy font, and rustic elements.